Hatfield headache and migraine clinic is run by Acupuncturist Helen Taylor Weekes. Helen is the senior Acupuncturist and has over 30 years experience of treating pain and headaches . Helen works alongside our multi disciplinary team of physiotherapists and Osteopaths. Acupuncturists at the Practice specialise in using particularly gentle traditional Acupuncture techniques. Modern ideas and traditional values are an important part of our Hatfield Acupuncture treatments. Traditional Acupuncture is an effective system of medicine that’s been around for thousands of years. We apply a modern twist. Traditional Acupuncture maybe “more effective than medication in the relief the painful of migraine”. Reveals a study of 160 patients at the Woman’s Headache Centre in Turin. Dr Gianni Allais and colleagues found that women who received acupuncture had fewer migraines during the first four months of treatment. 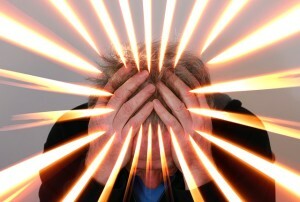 Research focused on classical migraine, migraine with aura. Also migraines when the piercing headache is preceded by visual disturbances. Experts who administered the Acupuncture treatment to a group of women who were suffering from migraine. After acupuncture treatment patients found they had fewer migraine attacks. The study group needed less painkilling medication than those taking the drug flunarizine. Typically used for treating and preventing blinding aura type headaches. The medical Journal of Headaches reported that the study run by Dr Allais had asked 80 women to have acupuncture once a week for eight weeks. The other group of 80 women had a daily dose of flunarizine for the same periods. They drug was taken 20 times per month over the next four months. After the two months of medication they then had acupuncture once monthly for another five months. Fine acupuncture needles were placed in the same specific points during each treatment. Typically the acupuncture needles are left in position for 20 minutes ( Practitioners at the Hatfield Practice use around the same needling time). Amazingly both groups of women in the trial experienced fewer headaches overall. However, patients who used Acupuncture had fewer migraines than those taking flunarizine during the first five months of the study – an average-of 2.3 attacks compared with 2.9 in the drug group. In review Acupuncture appeared to reduce migraine pain and lower the need for the medication. Quality research regarding acupuncture treatment could help the eight million migraine sufferers in England. The migraine ( severe headaches ) affects 22 per cent of women and eight cent of men globally. Acupuncture, a therapy which began in China more than 2,000 years ago, involves placing fine needles at specific points on the body’s surface. The needles are said to relax the nervous system around central pain pathways and promote the release of endorphins, the body’s natural feel-good chemicals. In passing a report from the British Medical Association’s (BMA) board of science review said there was ‘good evidence’ from clinical trials that Acupuncture relieved nausea – particularly after surgery – back pain and dental pain. The Welwyn & Hatfield Practice …. so often the answer.